If you’re in the business of manufacturing medical devices, then the last thing you want is to run afoul of quality, regulatory, or compliance standards. That’s why PRP’s business is all about supplying you with the expertise necessary to effectively navigate ISO 13485:2016, EU MDR/IVDR, MDSAP, and MedAccred, along with many other quality and regulatory challenges faced by our industry. PRP consultants have the experience you’re looking for to reduce risk and deliver success. Learn more about the PRP difference now! The pharmaceutical industry is built upon quality and safety regulations that form a bond of trust between the medical profession and the patients they serve. So it’s no surprise that when it comes to FDA and international regulations, you can’t afford to be playing catch up. That’s why with PRP, you get more than collaboration—you get proactive insider expertise on a variety of topics including regulatory filings, 483s and warning letters, CAPA, quality audits, and much more! Contact us to learn how PRP can help you innovate and grow with confidence. PRP is a leading provider of quality management solutions in the automotive industry. PRP provides quality solutions for OEMs, Tier 1, and Tier 2 suppliers across the United States. We are a company with an unwavering commitment to quality and we develop and implement solutions that improve quality throughout the manufacturing supply chain. Our experience in inspection, sorting, containment, and engineering services, as well as our innovative technology solutions, has led to our continued expansion across manufacturing sectors. At PRP, we know that whether you’re dealing with a serious quality issue or you’re simply looking to augment your existing team to increase quality and reduce risk, your time is valuable and limited. So when you choose to partner with PRP, you get focused assistance and attention from the moment you reach out to us. Contact PRP today, and let us show you what efficient and impactful consulting is all about! Our unique, incentive-based compensation model, combined with a lean business philosophy, enables us to attract and retain the best and brightest professionals while keeping costs down for our clients. PRP's adaptive approach to technology and outreach ensures our clients consistently see exceptional results, quickly. PRP recruiters are passionate about what they do, and regularly receive compliments on the level of professionalism, care, and responsiveness we provide. Search our candidate database and find the exceptional consultants that you need while making a difference for those in need. We will help you find the right Quality and Regulatory Compliance consultants with no strings attached. For every qualified search, we'll even make a donation on your behalf to Nothing but Nets to save a child's life. All you have to do is use our free candidate database search which can be found HERE. 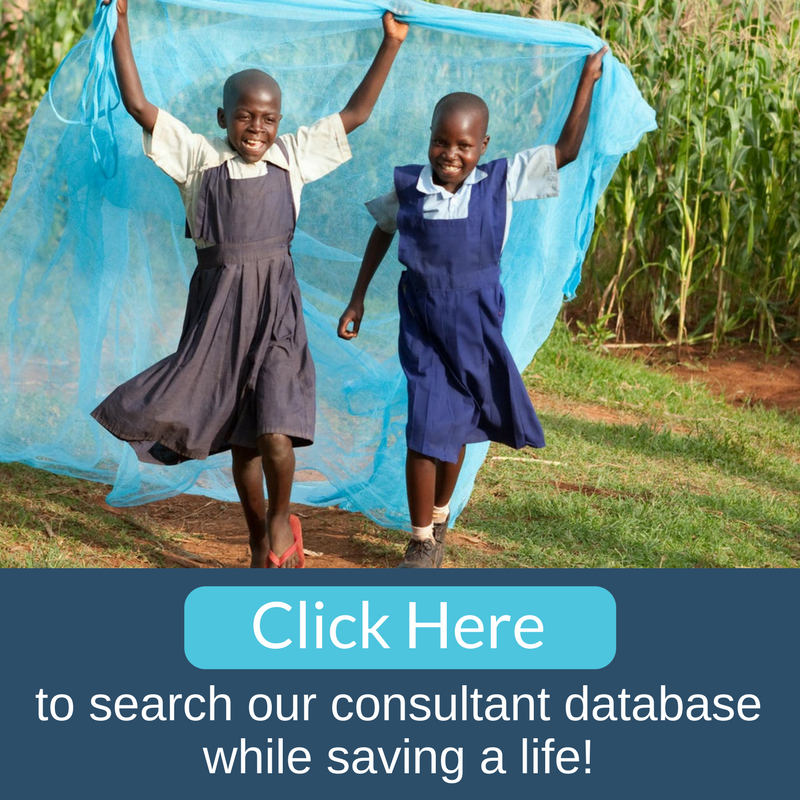 For every qualified search PRP will donate a net to a child at risk of contracting malaria. Place one of our candidates, and we'll donate another. As they continue working for you we will continue protecting children from mosquitoes responsible for transmitting this deadly disease.